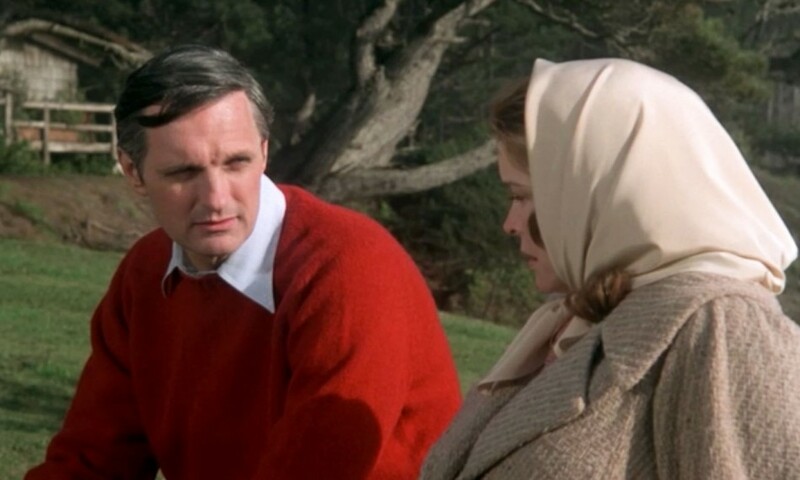 Although its premise and denouement seem cynical to me, I found Same Time, Next Year (1978) to be an engaging and entertaining film, and an especially apt showcase for the talents of Ellen Burstyn and Allen Alda. The romantic comedy is so apropos for Burstyn, in fact, that she starred on Broadway with Charles Grodin in the stage version in 1975 and won the Tony and Drama Desk awards for her performance. The principal characters in this story are Doris and George, two married people who meet by chance in 1951 at an inn in California, wind up in bed together, and decide to repeat the encounter on the same weekend every year — and they do so for 26 years. Doris, who lives in the San Francisco area, is at the inn because she is supposed to attend a religious retreat nearby; George, who is from New Jersey, is an accountant in town to see a client. In the play by Bernard Slade, Doris and George are the only two characters; in the film, there are other actors, but their roles are only incidental. 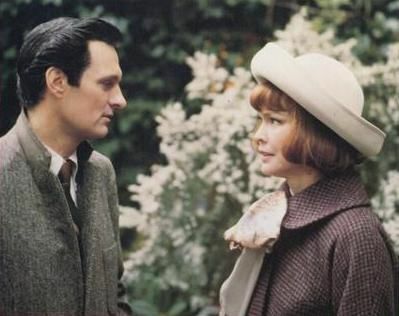 It’s not an easy thing for two actors to carry a film by themselves, but Burstyn and Alda succeed utterly. At each meeting, they express and act on their passion for each other, but they also discuss their lives at home, what’s best and worst about their spouses, what’s going on with their children, of whom there are a total of six. Unlike the folks who usually turn up in this kind movie situation, neither Doris nor George claims to be in a failed marriage; in fact, both seem to genuinely like their partners. As the meetings go on — separated in this film by black-and-white images of the historical and cultural events that shaped life in those decades — Doris and George both evolve in their appearance, their mode of dress, and their outlook, and these changes don’t always blend harmoniously. But still they go on meeting, until tragic changes in George’s life force a decision — an “up or down vote,” to use the parlance of the Beltway — by both of them. As I suggested at the beginning of this post, I am repelled by the way this story line glibly accepts the deceit that was necessary for this relationship to continue. Still, I can’t help but applaud the skill with which both actors kept the story compelling and made the transitions in these characters believable.